Yesterday Henry had a pediatric ENT appointment in Buffalo, so I picked both kids up from daycare after lunch to drive up. I had explained to them in the morning that I would get them “before naps.” I had the idea that naps started at 1:30pm, and I got there at 1:15, which was 15 minutes into nap time. Eleanor waited until we had sneaked out, then told me, “you said you’d get us before naps, and everyone is taking naps now.” Lately her capacity to remember specific things you tell her is really well developed. We drove up to the appointment, which is about an hour and a half drive, during which I had entertained brief, optimistic, and unrealistic hopes that the children would nap. They did not. 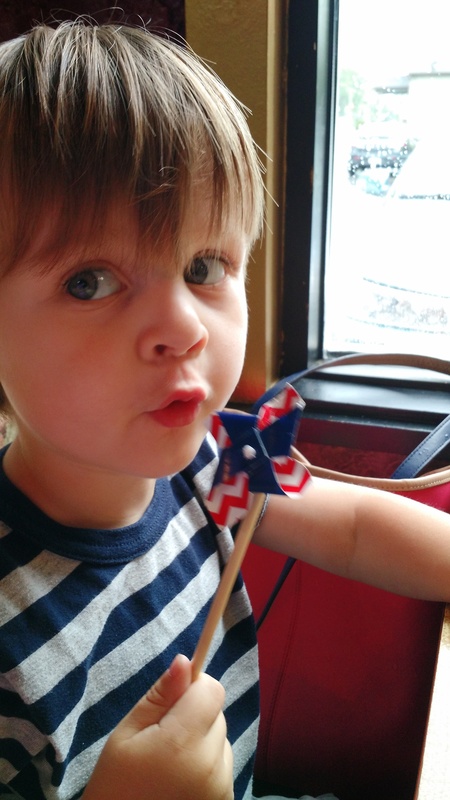 Once we were in the office, we passed the time waiting to see Henry’s doctor by looking at those big posters that various drug companies make of ear cross-sections explaining how ear infections happen and how your throat works and so on. We talked about what an ear drum is, and why Henry had ear tubes but Eleanor didn’t, and we looked at the photos of healthy ear drums, ear drums with various infections, and then a healthy ear drum with a tube in it. The doctor came and examined Henry and found one ear’s tube had fallen out and was in the ear canal (normal), and the other one was still in. Both ears looked great. Henry very seriously relayed to me that one ear tube was out but one ear tube was “ok” and both ears were good. We stopped by Target for a few things and I ran Eleanor over one time with the cart, which feels like a real accomplishment. We drove down the road to our favorite pizza place in Buffalo (Santora’s) and on the way, I considered that I needed an eye exam. I thought I saw a sign for “Weldings and Catering” and that a truck was “Hervy-Duty” which I assume my colleague Jeremy had something to do with. Eleanor saw a long-abandoned department store amidst an overgrown lot and excitedly announced that she saw our mall (a stunningly accurate misunderstanding). 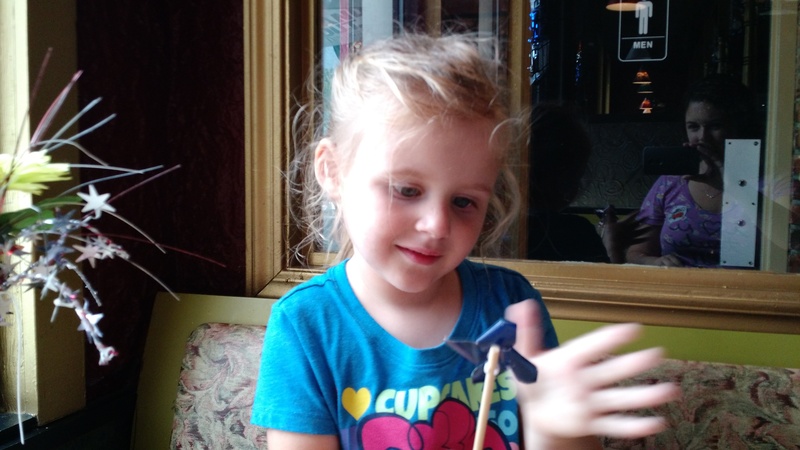 Santora’s had a little vase on the table with fake flowers and a pinwheel in it, so the kids took turns not making the pinwheel go around. We devoured an entire pizza between the three of us, and headed home. We hadn’t gone a mile and Eleanor fell asleep. Henry chatted to me about Spiderman, marshmallow farms (we saw two), and sang for awhile. 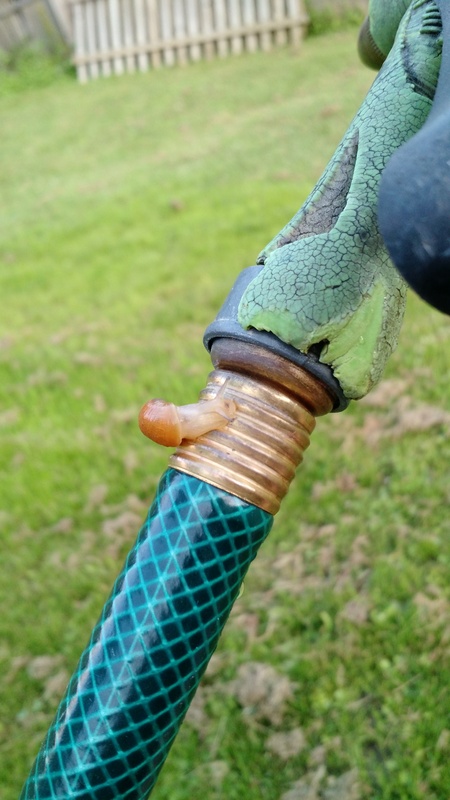 Unrelatedly, I saw a big happy snail while watering the lawn.